What does the financial future look like in 2019? The answer is the 2019 Annual Forecast Model! He is well known for having targeted the stock market crash of 1987 on national television weeks prior to the date and months ahead with the Annual Forecast Model. 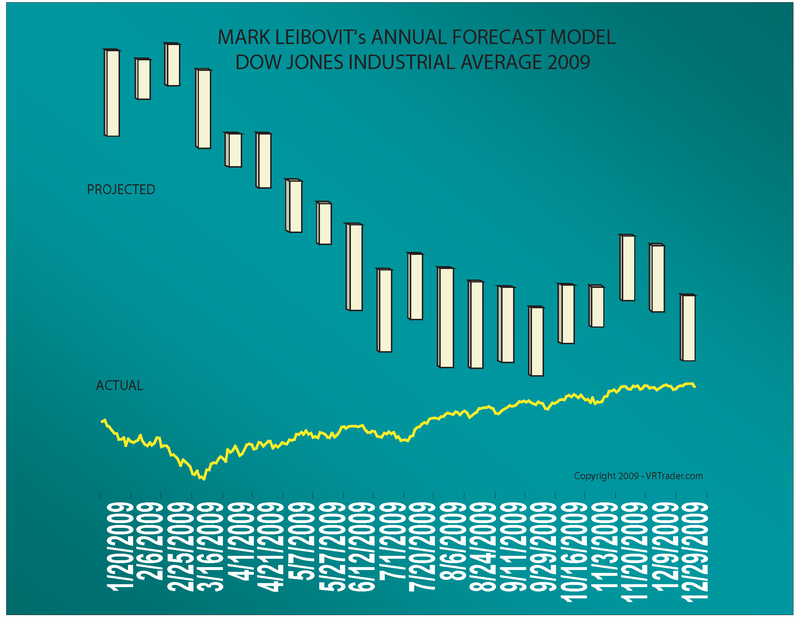 The charts at the left side of this page depict the projections and the actual results for the Annual Forecast Model (AFM) for the Dow Industrials since 1997. The AFM has been published since the mid-1980s and the forecast made in 1987 calling to 'watch for that nasty step in October 1987' made market history! In recent years, the AFM correctly pinpointed the advent of the 2000-2003 bear market by stating "It Looks Like an Honest to Goodness Bear Market" on February 1, 2000! As an "Elf" for seven years on 'Wall Street Week with Louis Rukeyser' investors across the nation turned their eyes weekly toward Mark Leibovit to provide stock market signals for their investment portfolios. You may have also seen Mr. Leibovit as a regular Market Monitor guest on The Nightly Business Report with Paul Kangas. Armed with the same Annual Forecast Model, what will your strategy be in 2019? This year the Annual Forecast Model will include the Dow Industrials, Crude Oil, Gold, Bitcoin, and Treasury Bonds. Copper, Silver and the U.S. Dollar forecasts will be made available per request at negotiated rates. The VR Annual Forecast Model, utilizes proprietary cyclical and technical indicators, to provide investors, money managers and traders with an uncannily accurate blueprint of what the market year will look like. Although past performance can be no guarantee of future results, look at the recent models and judge for yourself. Sign up for your own road map to the stock market for 2019. 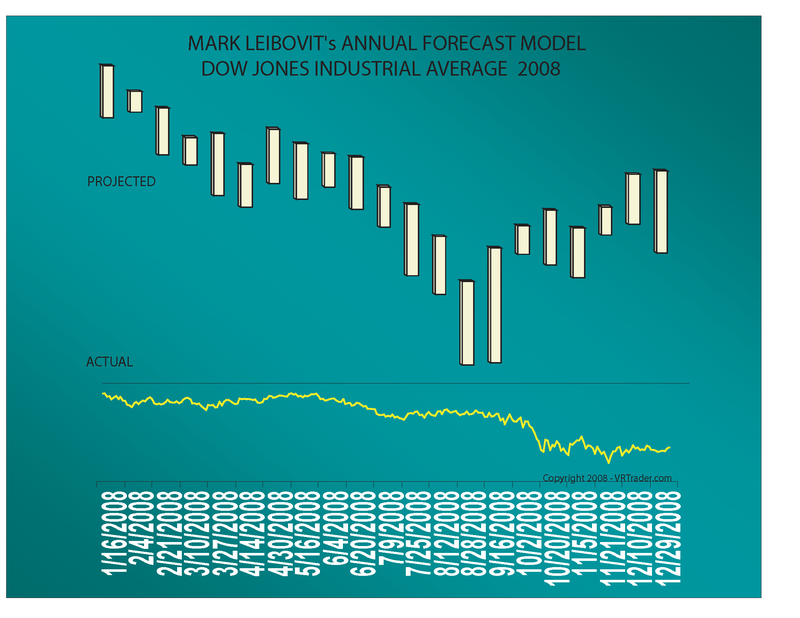 I want the Mark Leibovit's 2019 Annual Forecast Model Report from TIMER DIGEST's #1 Intermediate Market Timer for the 10-year period ending in 2007 AND the #2 Intermediate Market Timer for the 10-year period ending in 2009. 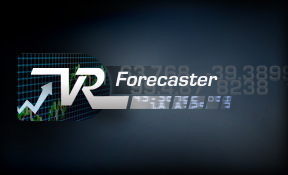 The Annual Forecast Model (The VR Forecaster Report) is published each and every year in early February and updated during the summer. 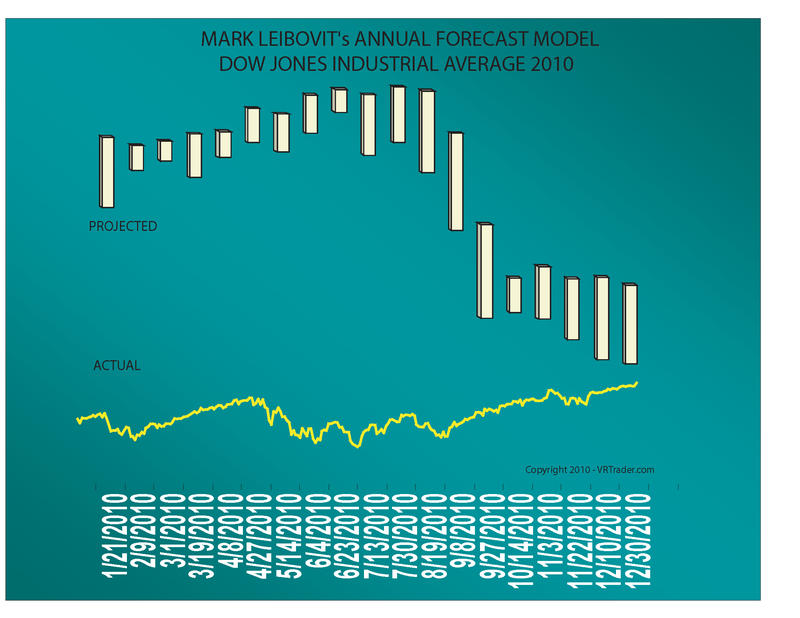 Don't miss the opportunity to see Mark Leibovit's widely recognized Annual Forecast Report that projects market direction and/or important cyclical change points months in advance. We have called it our 'Blueprint to the Future.' The AFM is unique to Mark Leibovit it has been published since the mid-1980s. Access to the report is provided via the website using the username and password provided to you. Individual investors (non-institutional) pricing is only $450.00. The institutional rate for RIAs, Broker-Dealers, Money-Managers is $12,000 annually which includes private consultation. Credit cards accepted. THERE ARE ABSOLUTELY NO REFUNDS ON THIS PRODUCT. Clients are urged to keep the VR Forecaster Report confidential, due both to its pricing and in an effort to keep the research from being too widely circulated, possibly then diminishing its effectiveness. What Will The Dow Industrials, Crude Oil, Gold, Bitcoin, and Treasury Bonds do in 2019? If you knew the answer to that question, how would your investment or trading results be different? Hundreds of investors had that information for 2000 - and were clearly warned ahead of all others on Wall Street that a bear market was coming. We have received untold thank from investors who protected themselves. Do you recall the title to the 2000 Annual Forecast Model Report? It read: "It Looks Like An Honest To Goodness Bear Market-But A Rally Comes First". This report was published on February 1, 2000. Go back and look at your chart of the Nasdaq and Dow Industrials. Who else made this spectacular forecast? No one we know. That's why you come to VRTrader.com, because you are getting some of the best, if not the best, research available anywhere. Do you think the best research comes from Wall Street? Think again. How would your current portfolio have performed if you knew we were entering a bear market and/or catching important cyclical swings in the Dow Industrials, Crude Oil, Gold, Bitcoin and Treasury Bonds? 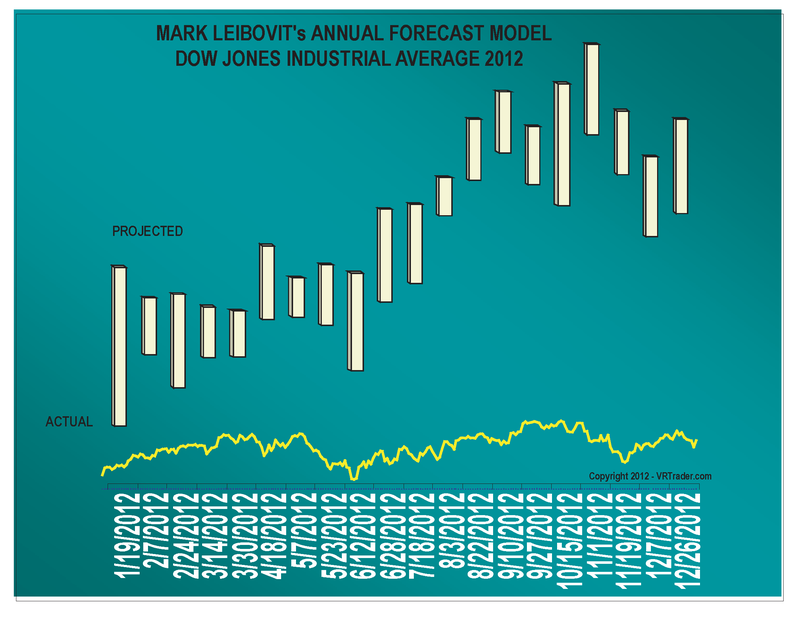 Below are examples of only the cyclical forecast for the Dow Jones Industrials. The 2018 AFM predicted a bullish 2018 with a potential sell-off in the fourth quarter. It did not predict the sharp sell-off into February but overall created an excellent forecast. Below is the actual AFM and the results to date up to Thanksgiving. Sign up today for the 2019 AFM! The AFM was correct only 50% of the time, i.e., in the second half of the year - but still an important market call! The AFM correctly called for sideways to lower market in 2015, noting a late summer now followed by a lower high in the Fall then followed by a year-end sell-off. The bias was a declining trend line for the year at large. The AFM correctly called for a bull market but also warned that a July/August peak could lead to a substantial sell-off into October. It also called for a recovery, but it was incorrect in not calling for new highs afterward. Still, a spectacular year considering the forecast was made in late January. A near picture perfect all for 2013! Did the AFM predict a strongly bullish year? Darn right it did! The Dow Industrials tracked the Model's undulations very, very closely - one of the best tracking patterns in recent years! The AFM correctly called for a peak in February, a trough in April, a peak July, an August low and a year-end recovery. The AFM warned of a sharp sell by July and we saw the 'flash crash' in May and the low for the year on July 2! The AFM called for a sharp decline into summer followed by a recovery. The low came, but early - March. The Annual Forecast warned a serious decline or bear market and sure enough, it came! This is your opportunity to view the AFM forecasts for 2018 for the Dow Industrials, Gold, Palladium, U.S. Dollar, 30 Year Treasury Bonds, Crude Oil, and Natural Gas. Just imagine how a road map to the stock market's future performance would help your investment strategy! 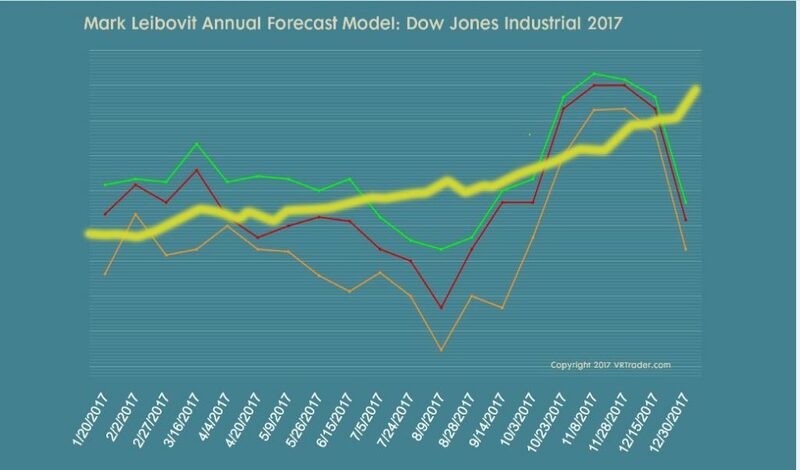 Over the past twenty-seven years, this Annual Forecast Model has provided Wall Street industry professionals with an accurate blueprint of the Dow Jones Industrials major swing pattern during the course of the year months in advance. It is easy to see why smart industry professionals were positioned to profit. Mark Leibovit and VRTRADER.COM has been consistently ranked in the group of top market timers by TIMER DIGEST. As of January 25, 2010, TIMER DIGEST has named Mark Leibovit the 7th Market Timer for the 5 year period ending 12/31/09; the 3rd Market Timer for the 8 year period ending 12/31/09 and the #2 Market Timer for the 10 year period ending 12/31/09. 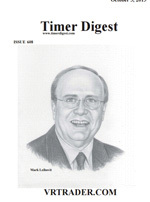 As of January 25, 2009, TIMER DIGEST also named Mark Leibovit the #2 Gold Timer for the 10 year period ending 12/31/09! From the Timer Digest August 8, 2011 issue:"TIMER OF THE YEAR RACE AT JUNE 30 "We congratulate Mark Leibovit of VRTrader.com, the 2011 Mid-Year leader. Mark Leibovit was also currently ranked #1 Gold Timer at mid-year 2011! More kudos - Mark Leibovit was named the #1 Intermediate Market Timer for the 10 year period ending in 2007. How much would a stock market road map to future have been worth to you? Don't make the same mistake again. 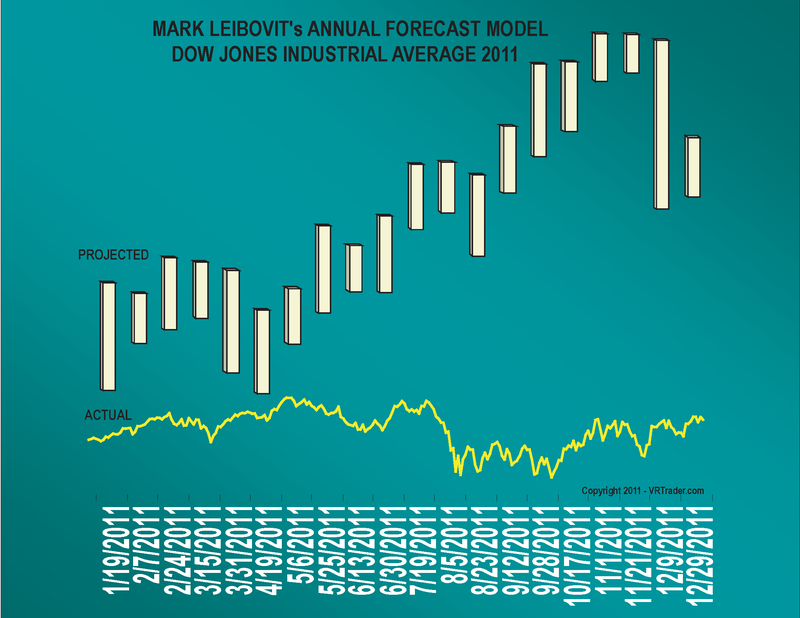 Mark Leibovit's Forecaster can help you in 2019.